The TC Office Start 1600 workstation office desk in a beech finish features a 25mm thick and 160cm wide desk top with 2 cable tidy locations. 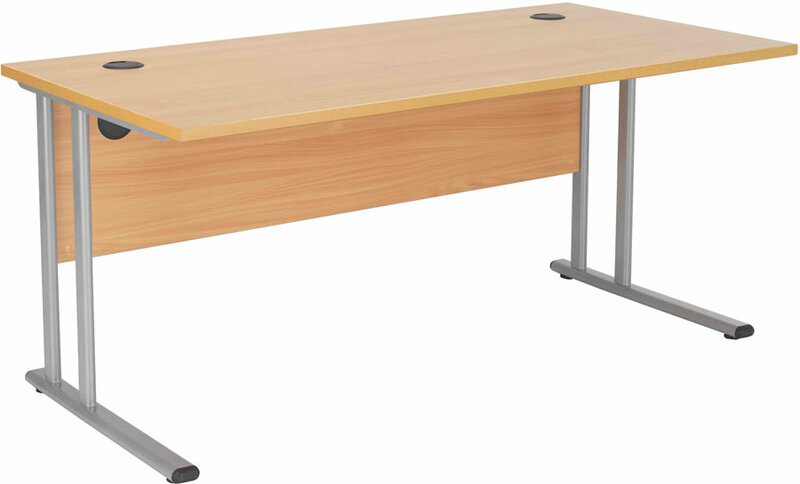 Suitable for office use the beech 1600 workstation has a standard desk top height of 73cm. The steel cantilever legs offer sturdy support and are available in a choice of silver or white powder coated finishes. Backed by a 5 year manufactures guarantee the TC Office Start 1600 workstation is the perfect choice for a busy office environment.